A lot of people tend to see that they need bubble wrap for the protection of their items while they are in transit. However, just how is this tool useful for moving efforts? The most important property of bubble wrap will have to be the protective padding that it provides. Bubble wrap is able to ensure the protection by forming a protective layer around an item that will make it much easier for you to work around it. This protective layer is resistant to a lot of contacts, and it will take a considerable amount of force to break through it. The more protection you desire, the more bubble wrap you’ll need. However, while some items will be able to be moved with just a single layer of bubble wrap put around them, there are others that are incredibly fragile and as such, these ones will need much more than a single layer of bubble wrap. The protective padding that is formed by bubble wrap is able to protect your fragile item (or perhaps even items) from contact with other materials. While moving it is always possible that the transit process is not as smooth as expected. Collisions on the roadways are always possible and the fact that your items are fragile means that they are in the most danger. If you are looking to offer the best protection against collision and other effects of constant motion, then bubble wrap is the best bet for you. Even the most skilled moving specialists make mistakes. However, with a sufficient amount of bubble wrap, your item should be fine even after it has been mistakenly dropped by someone. It might not account to much in the eyes of some people, but the extra peace of mind that comes from knowing that your fragile item is covered with bubble wrap is definitely a factor that can always be put into consideration. 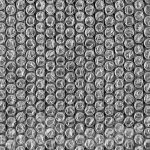 Over the years, bubble wrap has been known as a major tool for the prevention of damage related to motion and collision. To wit, a lot of people tend to be more careful with items that have bubble wrap around them. This sense of awareness is definitely helpful as it prompts people to be more careful with bubble wrap-clad items.